One of the most important strategies in fundraising is getting your supporters to spread the word for you. We make this easy through the social media sharing buttons we have placed on our campaign and event pages. 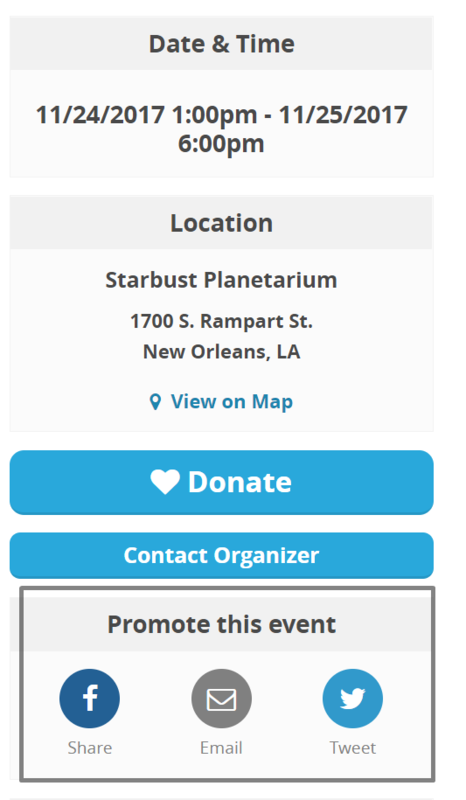 To share your efforts with your supporters, find the share icons on the event or campaign page you want to boost. Your supporters can also share their donations, ticket purchases, and campaign donations through these buttons. The Email button will pop up a window that allows you to send a message including the details of the campaign or event as well as a personal message to multiple email addresses. 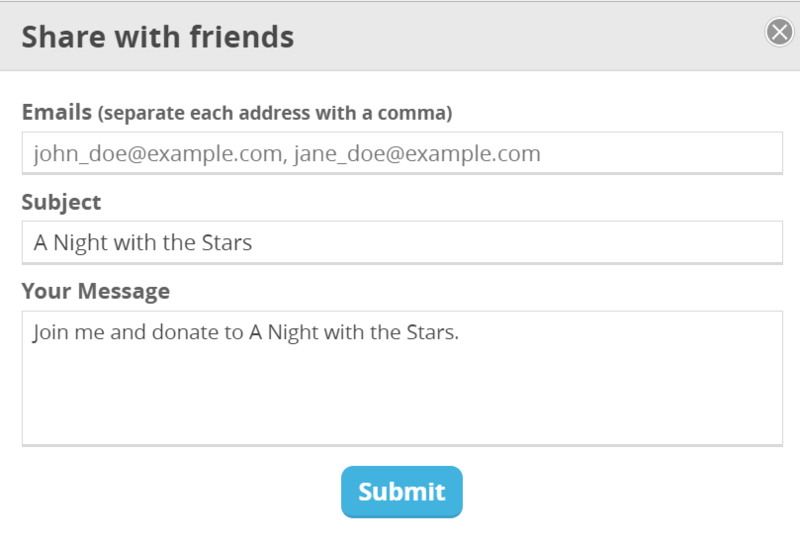 Choosing the Facebook Share or Tweet button allows you or a donor to write a message to be shared with your followers on those social media sites. Once you've sent your email, Tweeted, or shared your efforts, sit back and watch your supporters boost your signal.